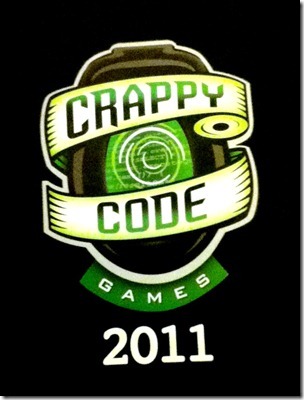 Great sponsors, wonderful people and awesome fun – this is how I would summarize the very first version of Crappy Code Games in London. For the uninitiated, Fusion-IO and SQLBits had coordinated to come up with a challenge for all the sql coders – to write the worst code. Yups, you heard it right, the worst code. Further details can be found on Simon Sabin’s (blog ¦ twitter) post. To recap, I was one of the very first to arrive around 6.00pm at the venue – Revolution Bar in Tower Hill. The venue started filling in by 7.00pm and it was so much of fun walking around and talking with all the SQL peeps. Oh ok, while the lesser mortals like me were busy drinking up the free beer and food, the Gods sat around the system, racking their brains and trying out the challenges. It looks like I was sort of a lucky mascot today, 3 people who were standing near me got an Apple Ipod in the lucky draw and Neil Hambly (blog ¦ twitter), whom I was cheering, ended up getting the first prize in the event. The ambience was pretty dark, so couldn’t get any nice photos but I couldn’t resist the urge to paste this half-baked blurry photo of the victors in the podium. A Sony Vaio laptop and 2 XBOXes, the sponsors rocked! Thanks a lot Fusion-IO, once again. If you guys are wondering why I am thanking Fusion-IO again and again, check out the free goodies which I got. All warmed up for the SQLBits event at Brighton now!